Modesty of eastern way of situation and modernity of European view of things have become starting point for new concept of creating interior. So simplicity and ease, functionality and brevity merged into one, pleasant to eye and thoughtful to the smallest detail is minimalism style. 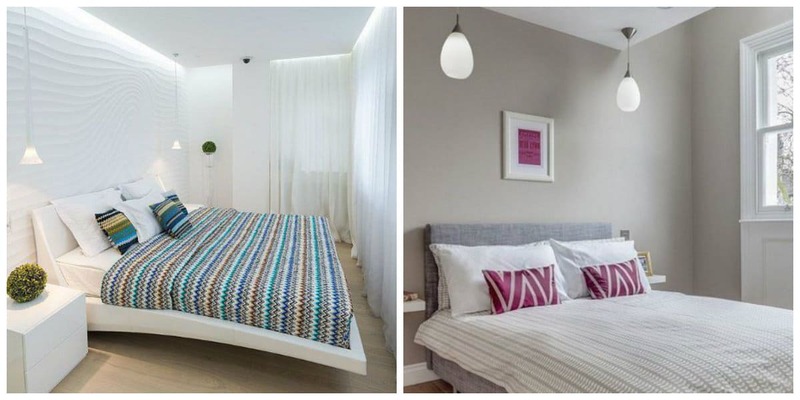 Let’s see what minimalist style bedroom ideas are in fashion. 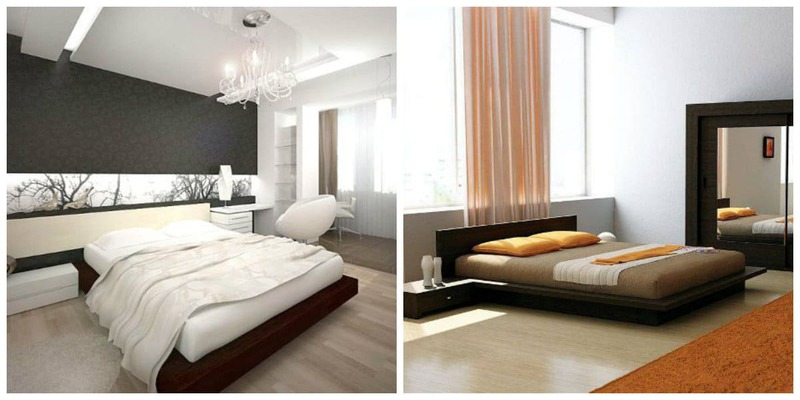 For successful result, learn basic principles of work, because interior of minimalist style bedroom only looks simple. When you stand in room, eyes shouldn’t stumble on furniture or decor items. This led to advantage of low laconic furniture, built-in closets, and use of niches. For this direction dimensions of room aren’t at all important, it’s important to have free space and sense of air in room. Windows in such bedroom don’t cover with partitions or colorful curtains. 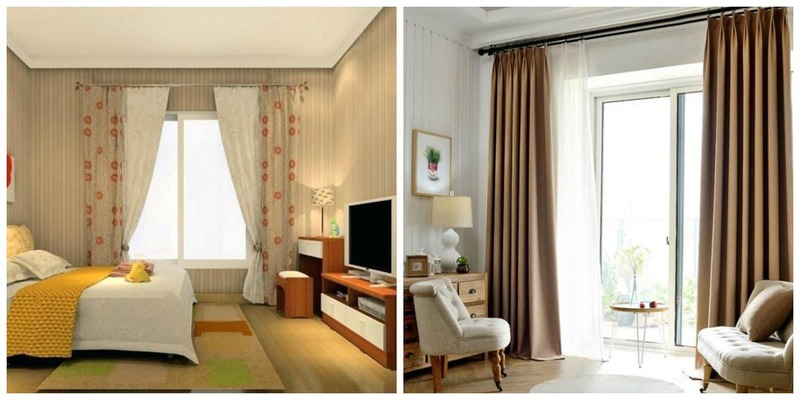 Ideal solution will be curtains, typical for eastern direction: straight translucent linens, without ruches and folds. Thus design of bedroom in minimalist style allows using natural fabrics, without pronounced pattern and in pastel, diluted tones. Linen, cotton, transparent materials don’t collect in chaotic folds, they can’t lie on floor. 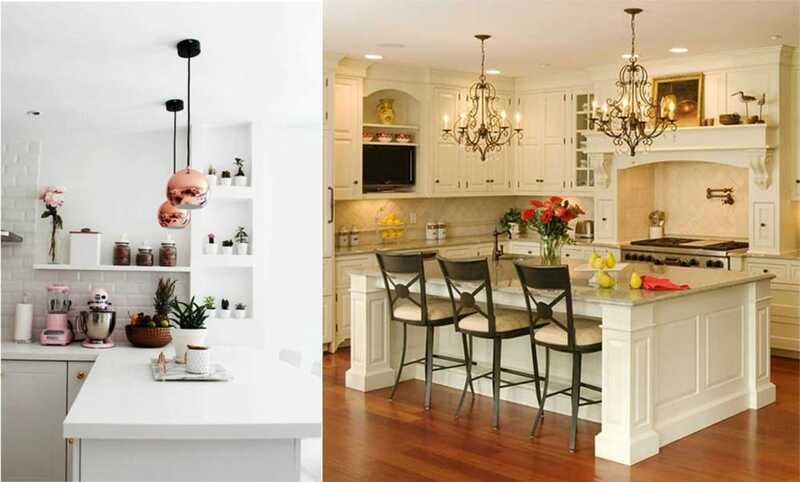 Designers recommend choosing two colors from general content and applying them to decorate window. Minimalistic direction doesn’t tolerate abundance of drawing and brightness of colors, but geometry and blurred fantasy divorces are permissible. 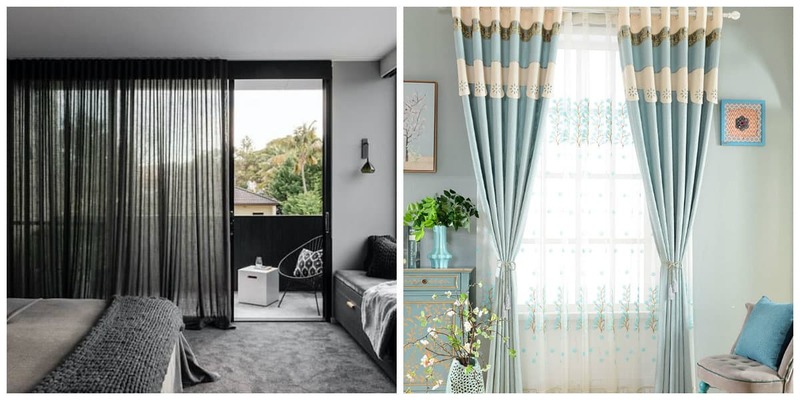 Vertical textile blinds or Roman blinds will harmoniously fit into overall style. Plasterboard ceiling and hidden cornice in such interior will be appropriate. Main rule in minimalist style bedroom is that from all corners of room, all space should be open to our gaze. 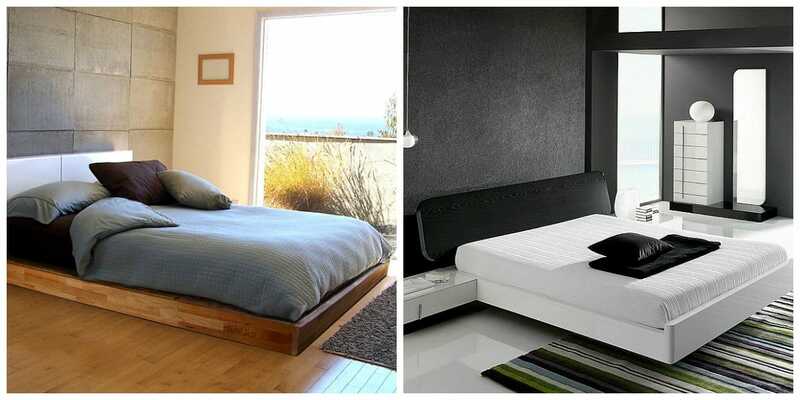 Therefore, low bed without headboard at all, or with low rectangular, can be in Japanese style. Podium instead of traditional bed will be winning decision. You can fit many boxes and shelves into podium. chest of drawers or dressing table isn’t much different from closet, it stores in its boxes with laconic facades all accessories, mirror is hung on wall. Lighting in minimalist style bedroom should be uniform. So central traditional designers use extremely rarely. Interior design of bedroom in minimalist style in issue of lighting remains true to principle of free space and unimpeded. We use light panels built into ceiling and walls. Spotlights, LED strips are no less successful option. Light flux itself is preferably select closer to cold white. Thus choose starting point, because bedroom minimalism is only modified version of one of directions. You can create interior on basis of Japanese style, modern and high-tech also will do. In rare cases, it’s possible to submit even classic or baroque in minimalist form. Choosing Japanese design, prefer low bed-podium and presence of light tones of natural materials. 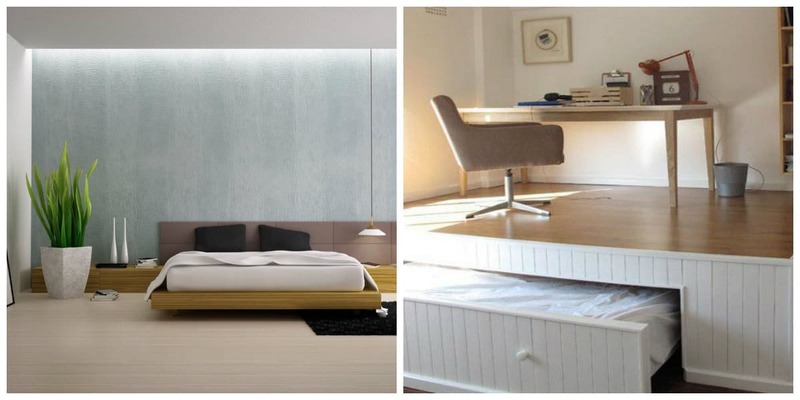 In bedroom in minimalist style, backlight under bed will be in place. Bleached array of oak, light shades of stone, natural light fabrics, pair of decorative strokes in form of typical Japanese adornments for walls will look perfect. Wooden furniture from classical direction with some modifications is quite suitable for creating minimalist interior. Also, parquet floor can be laid out with classic herringbone, provided neutral shade and smooth transition of color to furniture. If we take high tech as basis, wood and stone will replace glass and plastic, design of room will acquire several strict features, effect of coolness will appear. 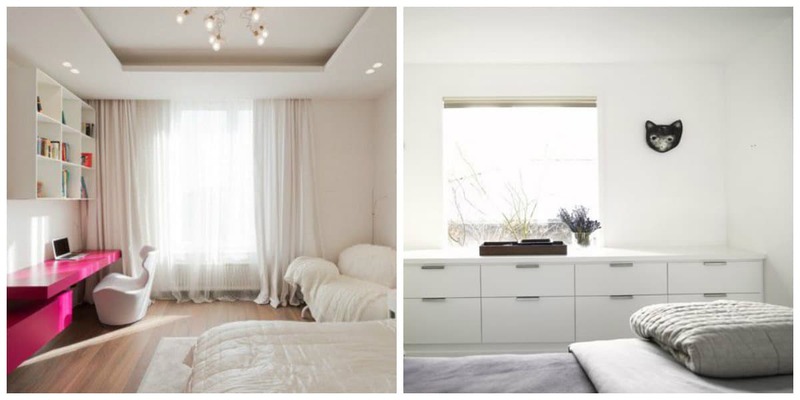 White bedroom in style of minimalism can’t do without shades of companions. 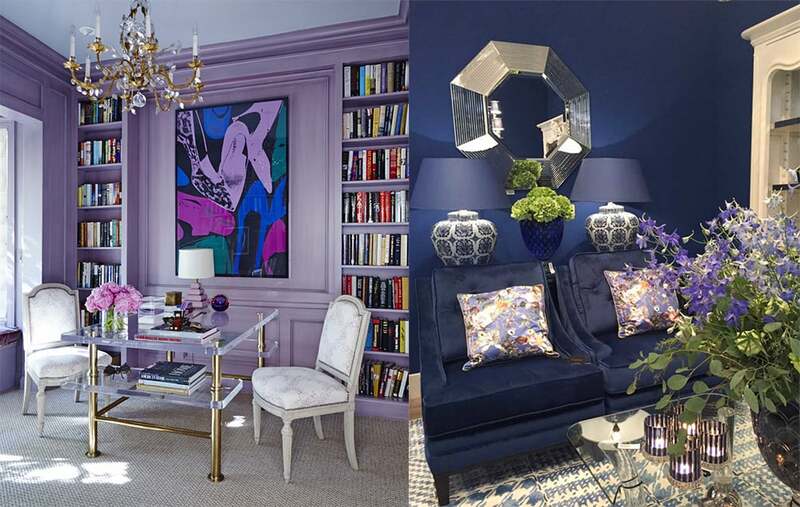 So use two opposite approaches as basis: two pastel base colors and one contrast for small parts, or one dynamic for large elements of room, rest of filling shade by pastel colors.